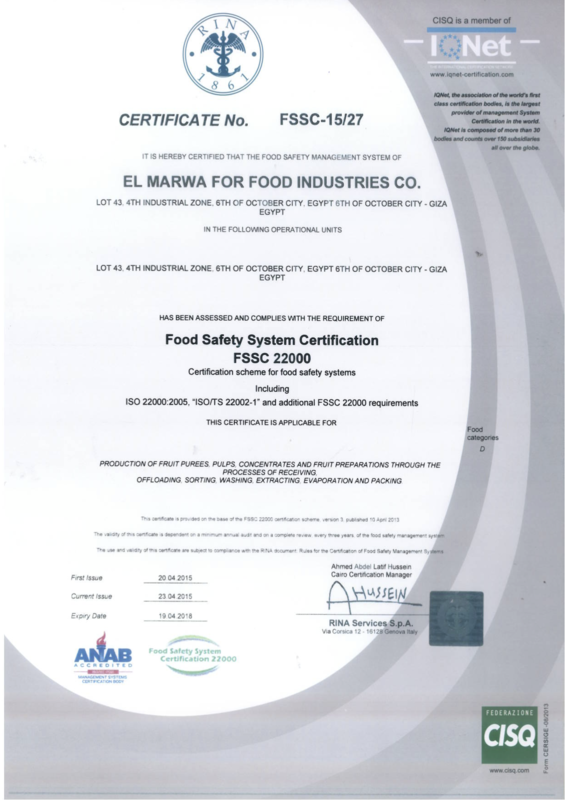 By employing the FSSC 22000 framework, El Marwa ensures that our employees adhere to the highest international standards for food safety and product quality. 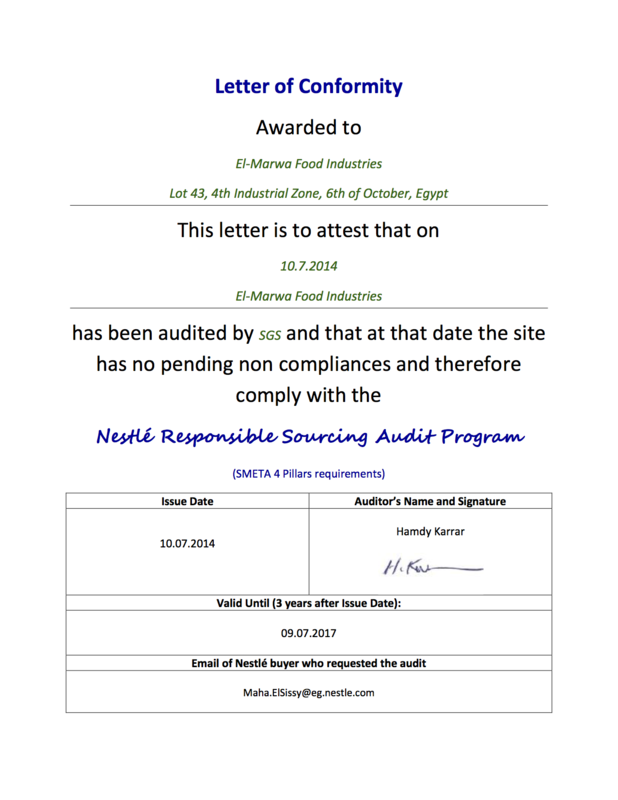 El Marwa earned our ISO 22000 certification by upgrading our production lines, ensuring adherence to international food safety and quality standards, and creating a healthy and safe work environment for our employees. 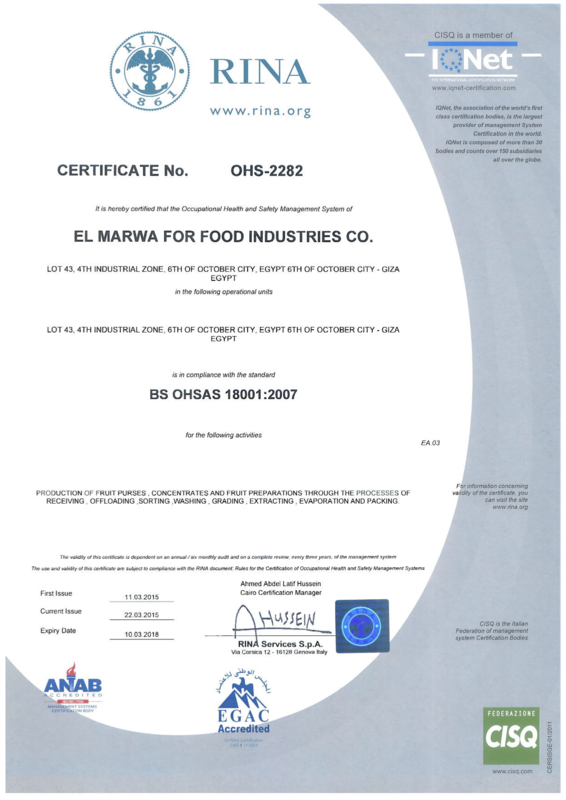 El Marwa is a proud user of OHSAS 18001, a highly effective occupational health and safety management system that improves our overall performance by reducing our risk of health and safety hazards and accidents. 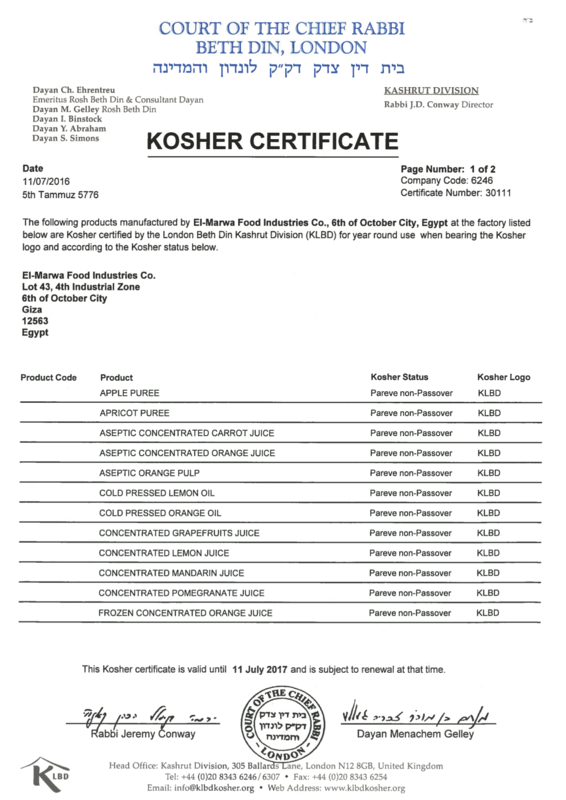 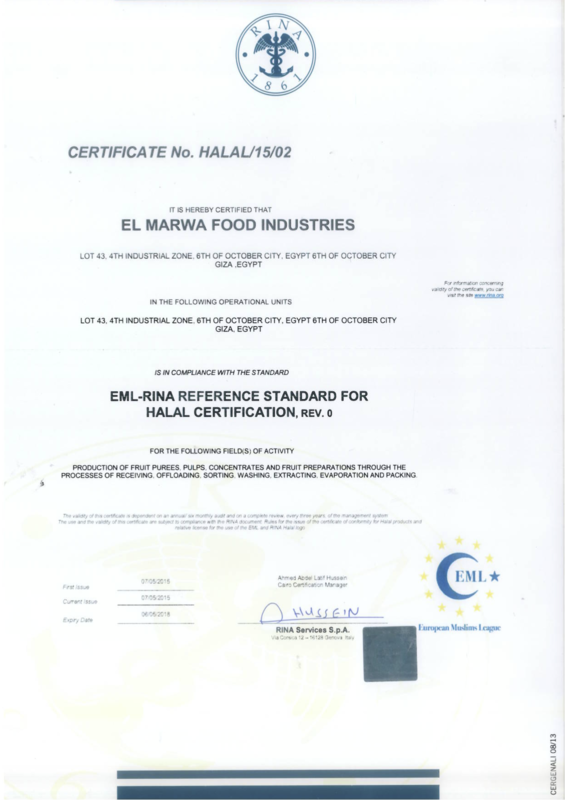 Approved as an SGF supplier by the International Raw Materials Assurance (IRMA) board, El Marwa is fully compliant with all legal, industrial quality, self-control, and safety standards established in the European fruit juice market. 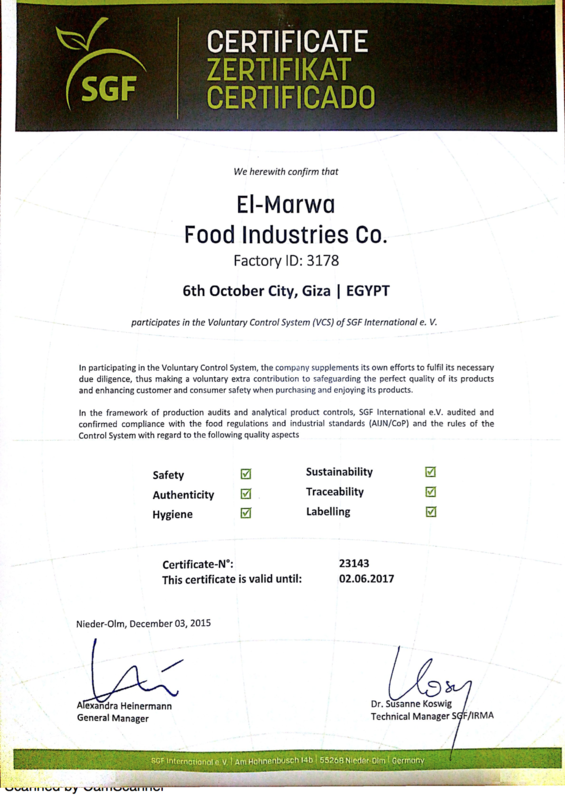 Supply chain management solution SEDEX provides El Marwa with access to a secure online platform for sharing and viewing information about labor and environmental standards, health and safety, and business ethics. 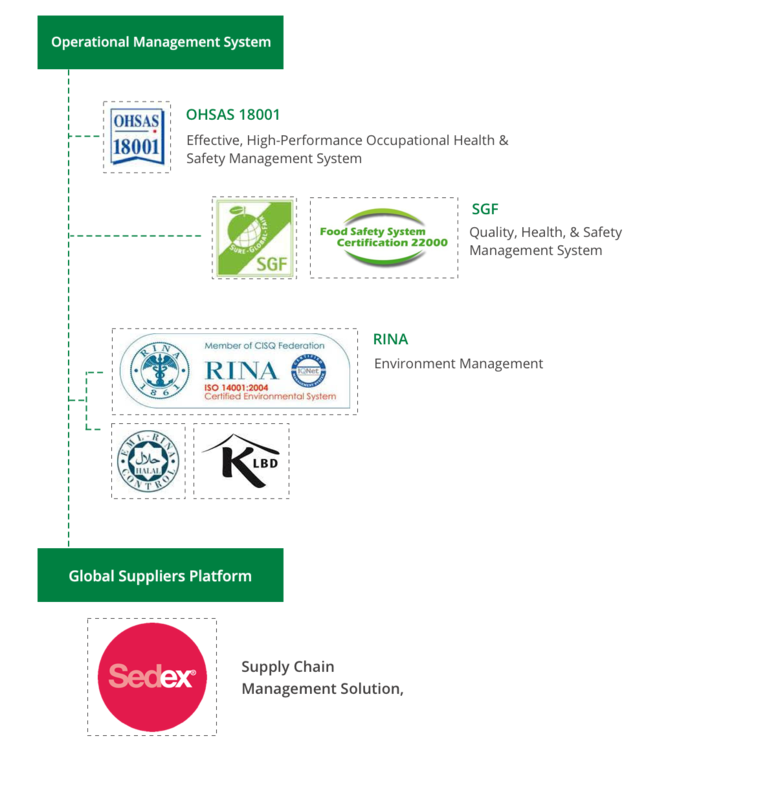 In addition to ensuring ethical performance in our own supply chain, El Marwa participates in the SEDEX network by collaborating with approximately 150 other members to reduce risk and improve overall supply chain practices.